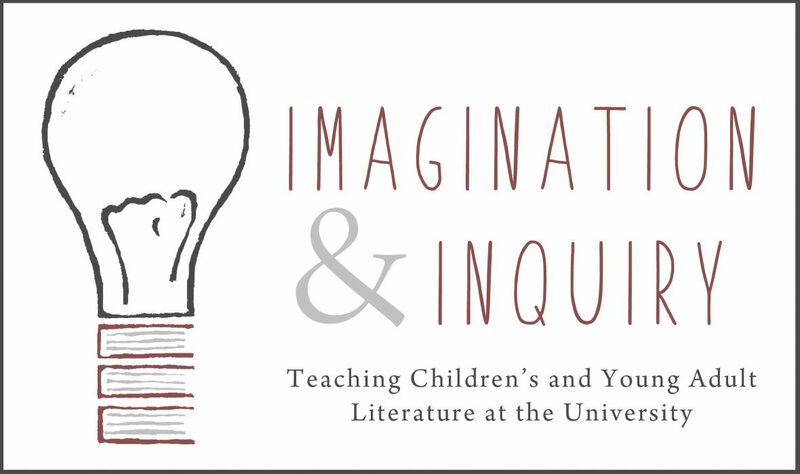 This week, the Imagination & Inquiry team is happy to bring you a guest post by recent OSU grad Karly Grice, who is currently an Assistant Professor of English at Millikin University. Karly is a stellar teacher and person, and the project she discusses in this post is literally award-winning. Read on to learn more about the unique assignment Karly implemented to deepen the conversations her students were having around diversity in youth literature and to help students engage in the practice of locating, analyzing, and discussing #OwnVoices books. But Why Do #WeNeedDiverseBooks Told in #OwnVoices? The initial episode that led me to create the #OwnVoices Project came at the end of my first semester teaching a multicultural children’s literature course to pre-service teachers. Despite spending the semester discussing the dearth of diversity in children’s literature and the need to incorporate more diverse representations into their future classrooms, my students left the class with only a cursory knowledge of the texts available to them based on the required novels I assigned throughout the term. Students seemed happy to know about books like American Born Chinese by Gene Luen Yang and Brown Girl Dreaming by Jacqueline Woodson and to consider them for use in their future classrooms. However, when we talked about their takeaways from the course, many students wrote complacently about how far diversity in children’s literature had come, as if “yay, we fixed the diversity problem!” and could now move on to other topics. They overlooked the conversations within the field of children’s literature that stressed how much further it still needed to go. We have some exciting things in the works, but in lieu of a new post this week, we wanted to round up some of our favorite content so far and look ahead to where we’re going. Two of our earliest posts center on larger Conversations Around Creative Pedagogies (Part 1 and Part 2) we had in our teaching circle concerning how we incorporate creative pedagogies into our classrooms. The members of our team are all passionate about innovative and multimodal in-class activities that allow our students to think about youth literature in new ways; however, we also know that incorporating creative modes of inquiry is sometimes easier said than done. In these two posts, four members of our team discuss some of the problems we’ve encountered with creative pedagogies and how we’ve worked to solve them. A more recent post, Recommended Activities for Implementing Creative Pedagogies, features some of the I&I staff discussing their favorite activities, which are ready for you to use in your classroom. We’d love to hear if you incorporate any of these ideas! Lastly, as we near the middle of the semester, classes sometimes start to fall into a bit of a slump regarding discussion. Because students (and instructors!) have gotten used to the routine of the course, certain voices begin to rise up more frequently while other perspectives are never shared. Our posts on Engaging Students Through Discussion and Varied Class Discussion Formats are great places to start for thinking about shifting the patterns of conversation within your classroom. In the next few weeks, we’ll be starting a new series of posts called “Why I Teach _____” that zooms in on a specific book or subset of books that we love bringing into the classroom. We’ll also be adding to our series “So you’re going to be teaching youth literature online…” as well as considering some methods of digital teaching that you can use for both online and in-person classes. This Association of College and University Educators post on mid-semester feedback helped us to rethink how to gather feedback that is useful to both you and your students. Over at the blog Reading While White, Amy Martin posted about the new toolkit from Oakland Public Library on how to evaluate and read books for young readers about the police. She not only introduces the toolkit, but does a beautiful reading of I’m Afraid Your Teddy Is In Trouble Today (Dunn and Nash, 2017) that shows the suggestions in action. Hope you all are having a LOVEly Valentine’s Day! We can’t wait to share our works-in-progress with you. Welcome to our first post in an ongoing series on teaching online. Today, I’m writing a bit about one of the biggest difficulties I had in teaching online: my attitude. In November, I posted about ways to make sure that you’re choosing texts for your classroom that allow for an engaging and diverse learning environment. This week, I’m back to tackle ways to incorporate student choice into your book list. Throughout my time teaching children’s and young adult literature courses, students have consistently given me positive feedback on the ways that I allow them to pursue their interests and have agency over their readings. Below I discuss ways that you can incorporate choice into both weekly book choices and major classroom assignments. I also provide suggestions for how to lesson plan around a class where students come in having read different novels.